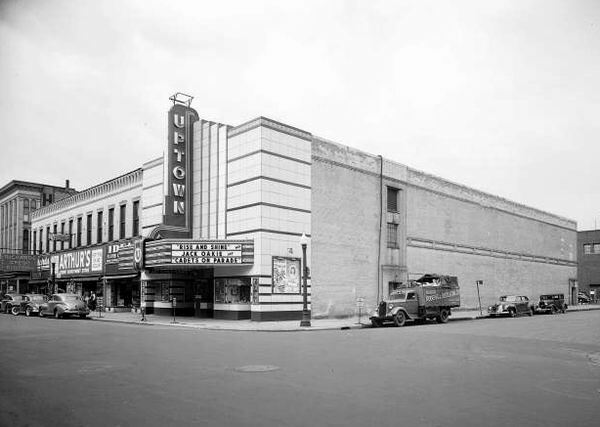 July 1959 - The Uptown at Kalamazoo was closed permanently by Schram and Butterfield interests. 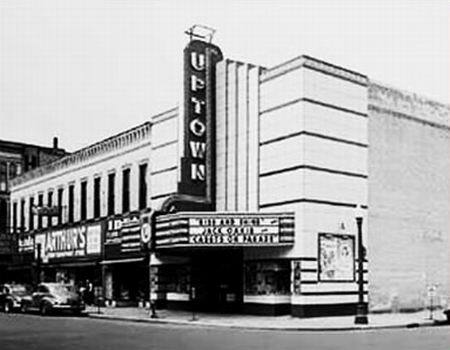 This theatre was once a commercial building (the Wheeler-Blaney Company) that was transformed into a theatre in December 1937 by Peter Schram. Henry Vander Horst completed the work for $30,000. The Kalamazoo Gazette, in its review of the renovation, noted the theatres new Art Deco design, its sleek glass and stainless steel materials, and its many innovations. These included magic eye entry doors and drinking fountains - both of which would operate automatically as a patron approached. The theatre also had a second-floor soundproof cry room for parents and babies. 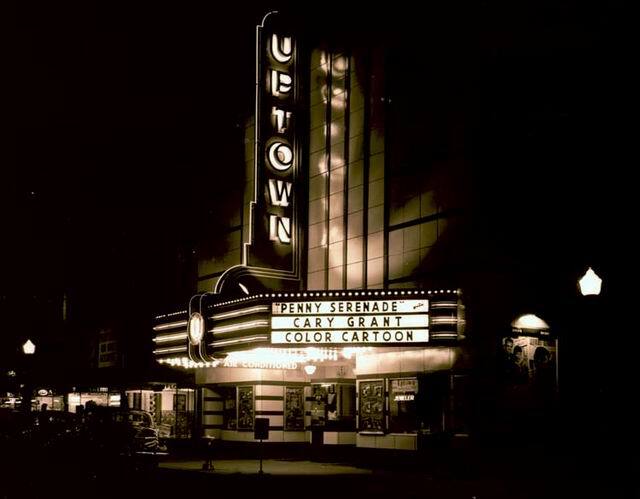 After a 20 year life, the Uptown closed in 1959. In 1967, the Schram estate sold the building to Waber Development, who made alterations and leased the building for a number of years. In 1991 the Citys Downtown Development Authority took title and razed the building for the Arcadia Creek Redevelopment Project.